On November 29, 1954, between 02:00 and 02:30 a.m., in Petare, a suburb within 15 miles of Caracas, capital of Venezuela, Gustavo Gonzales, a tradesman originating from Havana in Cuba and aged 25 years, residing 72 street of Bolivia, Catia, Caracas, drove his van D.F.4-11382, year 1954, in company of his helper José Ponce, of the Totumos district in Caracas. The two men were going to get pork-butchery products at the Scheper wholesaler, to sell them on the Open Market at daybreak. As they drove in Bella Vista street, in the warehouses sector, in the neighborhoods of the factory of marquetry "National Industry of Marquetry, C.A. ", completely deserted trimmings in this early hour, the two men noted that all the street was illuminated as in broad daylight by a brilliant object barring the road to them. They described this object as a metallic or luminous sphere from 2 to 4 meters in diameter that hovered motionless above the street. The object had two sorts of windows in the sides, a little less than one half-meter in opening, and a cupola in the higher part. What astonished the most both men is that the craft floated at a half meter height, without any support such as wheels, feet or landing gear of any kind. Gustavo Gonzales stopped the van and the two men looked at the object with amazement during one moment. They then came out of the truck one after the other, going until approximately 8 meters of the object, and Gustavo Gonzales then stumbled on a one meter tall character. This being that stood in front of the sphere was covered with stiff dark hair, he had "hands" finished by four long claws, cutting like weapons. His head was round or perhaps under a round helmet, without ears, without nose, without mouth, and the two eyes were large, oval, shining or reflecting the light of the headlights of the van like cats' eyes. He seemed not to wear any clothing, except what was described as some sort of weird loincloth, and seemed barefoot. Gonzales had the initial impression that something prevented him from moving, but he soon advanced towards the being, and seized him between its arms by making him a catch, to try to stop him and to drag him towards the van. He lifted the being off the ground and noted that he was very lightweight, the various sources contradicting on this matter by mentioning variously 50 pounds, 50 kilos, 35 pounds, 20 kilos. The small being appeared much stronger than his stature and weight let Gonzales expect it, and managed to break his grasp and to give a brutal hit that sent the men fall back at the ground. Gonzales tried to stand up with the intention to continue the fight, whereas he felt a kind of vibration in his body, also evoking an impression of being in a trance. Apparently the small being made a feline jump at him and Gonzales instinctively pulled out his scout knife and wanted to stab him in the shoulder, but at his great surprise, the blade did not penetrate, slipping away as if the being had a "a rhino skin." It is at this time that Gonzales noticed that the being had webbed hands with four sharp claws he used to try to grab him. At one time of the brawl, Gonzales saw two more beings coming towards him, apparently to help the first. One of these two newcomers held a lantern that blinded Gonzales, preventing him from seeing what was going on during one moment, and little afterwards, seeing again normally, he found out that all had disappeared. During the fight, José Ponce had also come out of the van but after Gonzales arrived initially running, saw what was going on, and moreover saw another being arriving from the grounds on the right of the road, climbing the slope, with joined hands carrying something like stones or lumps of earth. This newcomer, as soon as he saw Pounce, leaped with a two meters jump to the inside of the sphere by an opening at its side, and reappeared seconds later with a third being who held something like a long metallic shining tube, pointed towards Gonzales, and that emitted a light that blinded the latter. The first being went into the sphere; which took off vertically at high speed and without noise. Ponce, who had seen enough, then turned heels to run towards a law enforcement station in the same street some two or three blocks away. Gonzales joined him there a few minutes later, exhausted of tiredness and terror. Gonzalez, after having drunk a little water and having recovered, told what had happened to the treasurers of guard Manuel Moreno and E. Dominguez, who stated that the two men entered there at 02:30 a.m. with this history, but that they were not drunk, nor mentally alienated, giving a consistent although astonishing account, full with details that appeared real by the luxury of data that they indicated. The witnesses remained a long moment at this station, actually an office of Inspectoria General of Transito, the General Inspection of Transport, where after the suggestion of one of the people there that they were perhaps drunk, it was checked that they had not been under alcoholic influence. It was noted that they were nervous, and that Gonzales, who had tried to capture one of the beings, had bruises at his left side. It was called upon the owner of the pork-butchery "Industria Nacional de Embutidos C.A." aka "Scheper" where the men should have picked up products to sell, and the director Antonio Cherchi stated he knew the two men from sight as he had been dealing with them, that they always arrived at the right hour, did not cause any problem and that if they state to have had a contact with something out of the ordinary, he was ready to believe them. In the mid-day, the Press Office of the General Command of the Police Forces of the Town of Caracas informed that they had recorded the statements of the two men, and Major Jesus Antonio Yanes expressing that the event was something extremely unusual. At least the Caracas newspaper El Universal then published the account of the business that same day, the journalist having estimated that the two men were not drunkards since the police force would not have hid this if it had been so. Gonzales was transferred at 03:00 p.m. at the Emergency Station of Esquina de Salas, where the medical personnel of duty noted simple bruises in the left side of his body. Radiography was made to check whether he had broken ribs. Many other people then came forward to report occurrences in the sector at that hour. Miss Maria Antonieta Avellaneda said to have been awaken between one and two o'clock in the morning by something like a detonation and a whistling sound, but she did not pay great attention as she was busy preparing a remedy for a sick child of the house she lives in. Concepcion Garrachan, resident of Petare, indicated that hours before the two men's encounter, she had seen a strange luminous apparatus that did not make any noise flying over the south of Petare, and that other people with her had also seen, commenting on the strangeness of the sighting. At two o'clock in the morning, she heard a detonation in Bella Vista street. Mr. Manuel Maria Soria, of 31 Sugar Avenue at only three halls of the encounter's location, said that he was going home towards 02:30 a.m. in a rented car, when he suddenly observed a powerful light that illuminated his vehicle, forcing him to stop temporarily. Immediately, he heard something like a whistling sound. He restarted the car at full speed and went home, where he told his mother Juanita Soria about that. She responded that she had heard something, but that she believed it was one of the planes acquired by the government. Dr. Julio Garces, laboratory assistant at Pérez de Leon Hospital, in Petare, stated that little after 02:00 a.m., when he passed in his car in the vicinity of Bella Vista street, he heard like a cry of terror, uttered by a frightened voice. He stopped to see what was happening and saw nothing, but heard cries, not knowing where they came from. Mrs. Elsa Duderstad, from 9 Los Palos Grande street where she lives, stated that she was in the garden of her house when she saw, towards Petare, a very intense light in the shape of a disc going up above Petare, changing color, and being in sight during several minutes. Her son Rodolfo Duderstadt categorically confirmed what her mother stated and indicated that what they saw made them think about it when they later learned of the two men's encounter from the newspapers. Ursula Wiede, Elsa Duderstad's niece, also witnessed the strange phenomenon. The Caobos, who lived along the old railway to the populated part of Petare, indicated that at the time of Gonzales and Ponce's encounter, they observed a very brilliant light passing above their house, illuminating their rooms, "like a very intense star." Mrs. Avelina del Paso, inhabitant of Andres Bello street, indicated that several Police and National Security patrols were in the area imposing order and searching in the streets and the houses for the origin of the explosion heard at the passing of the brilliant light. Francisco Leal, of the 7th in the street, felt the explosion like all the neighbors in the sector, and several alarmed full families were in the neighborhoods of their residence, all commented on the event between them, joining at the "Weapons" and "Escobar", talking to the police force about a bluish and intense light and a strange noise heard by all the residents. The case arrived at US ufologists through the Lorenzens, directing the ufology group APRO, who were informed of the occurrence by a report dispatched to them by Joseph Rolas, of Caracas. The latter added that according to journalists, "the doctor" was later invited in Washington for consultation by the US authorities about the "small men" of this case. Many summaries, not lacking confusion, appeared in the international ufology literature in the following decades. Loincloth and hairy suit or loincloth and naked and hairy. Two, yellow, glowing or reflecting light. Stiff hair except on head an loincloth. Came out of UFO, took samples, saw witness, fought witnesses, escaped, went back in, departure. Came out of UFO, took samples, saw witness, fought witnesses, escaped, went back in. Observed, tried to capture being, fought, fled. Daring, then frightened and shocked. Roundless curiosity is unleashed whenever the word flying saucer is mentioned. What is it? Could it be a guided missile or a spy ship from Mars? A letter recently received by Dr. and Mrs V.A. Keiley, 1225 North Sixteen street, caused fiends to wonder anew about this scientific phenomenon. The letter was written by Wacoan's daughter Mrs Elizabeth Antula, who with her husband Earl, works at the Escuala Rural Interamericana school in Rubio, Estado Tachira, Venezuela. Her letter concerned "a luminous disc" which landed in a city near Caracas and its effect on two Venezuelan merchants. Although casually related, the incident attracted more than casual interest among readers. Two men were driving along the road around 2 a.m. preparatory to taking goods to the market. A "luminous disk" some two meters long and one meter wide hovering about 16 centimeters over the center of the city street forced them to stop. They noticed three small men, one meter tall, around the glowing object. Grabbing a flashlight the driver ran forward. His companion was with him until he noticed one of the little men holding an "apparatus". Frightened he ran the other way to a nearby traffic control point. Meantime the driver threw his flashlight at one of the men and missed. He then ran up, grabbed the little fellow, lifted him high against his chest and tried to take him back to the car. The little man gave him a hard blow in the ribs and squirmed away. Drawing a knife the driver tried to stab the creature but his knife struck "a surface like stone." Immediately the three little men entered the disk which ascended at terrific speed and disappeared. Later at the traffic control point the driver exposed his left side which was beginning to show a bad bruise. He said he believed the little creature was scooping up handful of earth which he took in the disk. Authorities reported the men had not been drinking, but they were still undergoing treatment for shock and nervous collapse at the time Elizabeth wrote of the incident. VERY LARGE EYES is the way a Venezuelan merchant described the above creature which he saw standing beside a "luminous disk" hovering over a street in a town near Caracas. The drawing is a duplicate of one made by the merchant for interested authorities at the town's traffic control point. The author lists some close encounters of the third kind in Venezuela for 1954, and notes that exactly two weeks before the Lorenzo Flores incident, two truck drivers in Caracas stumbled into a police station, torn bleeding, and terrified, and gasped out a story which might have been ignored by the police "had it not been for an exceptional witness." He indicates that Jose Ponce, a helper, and Gustavo Gonzales, who drove a panel truck in the early morning hours of November 28, were going to Petare some 15 miles away to pick up a load of food to be delivered in Caracas in time for the markets which opened about daylight. As the truck was in a street on the outskirts of Caracas, at about 02:00 a.m., the men found their way blocked by a glowing disc-shaped object of about ten feet in diameter and was hovering about six feet above the street. Gonzales stopped the truck and the two men sat there for a moment staring in amazement at the object. They then got out of the truck and walked closer to the object until about 25 feet from it. They then saw a very hairy dwarf-like man approach them. Gonzales grabbed this entity and lifted him off the ground, he later told police the creature weighed about 35 pounds. But the entity twisted out of the truck driver's grasp and gave him a shove that sent him sprawling backward. Ponce had had enough and turned to run for help at a police station that was only a couple of blocks away. Before Gonzales could stand up, the creature leaped several feet into the air and came for Gonzales, who noted that his attacker's eyes were glowing in the truck's headlights "like yellow cat's eyes." Gonzales managed to get up on one knee and took his knife out. When the entity came at him again, he noted that it had webbed extremities with claws about an inch long instead of hands. He tried to stab the entity in the shoulder but the blade slipped as if he had struck steel. Another being jumped out of the glowing craft and pointed a small shiny tube at Gonzales. It produced a brilliant beam of light that blinded Gonzales for a moment "and he thought he was gone... but when he could see again the object was rising above the trees and was quickly lost in the night." Gonzales ran for the police station and arrived a couple of minutes after Ponce. The police first thought Gonzales and Ponce were drunk or crazy, but a doctor was summoned, and determined that both men were in a state of shock and that neither of them had been drinking. Gonzales was treated for a long deep scratch down his left side and was placed under sedation. A well-known Caracas physician had witnessed the entire incident while had been on a night call and had been driving behind Gonzales when Gonzales came upon the object blocking the street. This doctor told the authorities that he had witnessed the fight, but had been reluctant to confirm their report for fear of ridicule. After being later assured that he would not be identified in the reports, the doctor made his statement to police. The APRO representative in Caracas was informed by press representatives that the doctor was subsequently invited to the United States for consultation with authorities here regarding the "little men" involved in the case. The Lorenzens indicate that the first incident from Venezuela involving UFO occupants busy with collecting samples came to their attention in a report forwarded by Joseph Rolas of Caracas, Venezuela. He indicated that at about 02:00 am., on November 28, 1954, Gustavo Gonzales and his helper Jose Ponce, traveled from Caracas to Petare, a Caracas suburb, to pick up some produce to be put on sale in the markets of Caracas the next morning. When they entered a street leading to the warehouse area, they saw a luminous spherical object hovering about six feet off the ground, and blocking their way. They stopped the truck and Gonzales got out to investigate. A dwarfish-looking man shaped being, some three feet tall, hairy, with glowing eyes, came toward Gonzales, and Gonzales tried to grab him. The little creature hit Gonzales and sent him reeling about 15 feet. The being then leaped at Gonzales, clawed hands extended. Gonzales took his knife and stabbed the being in the shoulder, but the knife glanced off as though it had struck steel. Another being came out of a hatch in the side of the sphere and directed the light of some sort of metallic tube at Gonzales, blinding him. Then the first being leaped into the sphere which took off swiftly and was lost to sight in seconds. During the fight, Ponce watched two other similar beings emerge from the side of the street carrying what seemed to be rocks or dirt in their arms. They also easily leapt up into the sphere through the opening in the side. Ponce fled and ran to the police station about a block and a half away, and he was telling what happened when Gonzales arrived. Both men were questioned closely and it was determined that they had not been drinking and that both had obviously been badly frightened by something. They were given sedatives and Gonzales was put under observation for a deep red scratch on his side. In this later book, the authors only remind of the incident, referring the reader to previous references for details. They indicate that two workers on routine business came across a landed globe in Petare, a suburb of Caracas, on November 28, 1954. They saw in the next minutes beings grabbing rocks and soil that they loaded in their craft, and as one of the men interfered he got a good beating and a scar. Gordon Creighton indicates that in Caracas, Venezuela, at 2 in the morning of November 28, 1954, Gustavo Gonzales and Jose Ponce drove a van in the suburbs, when they saw the road blocked in front of them by a luminous sphere, 3 to 4 meters broad, that hovered approximately two meters above the ground. Gonzales advanced for better seeing, and had to fight against a hairy disheveled dwarfish creature with glowing eyes that seemed lightweight but was so strong that it threw Gonzales five meters further with a simple push. The creature then jumped at Gonzales, who took out his knife and stabbed it, but the knife deviated as if it had struck steel. Another creature then came out of the sphere and blinded Gonzales with a ray of dazzling light coming out of a small tube. During this time, Jose Ponce had seen two more creatures coming out of bushes with the arms full with what seemed to be ground or stones. They leaped with great ease into the hovering sphere. All the creatures wore a loincloth. Ponce ran to the nearest police station, where he was joined by Gonzales, exhausted and terrified, a little later. The police initially thought that they were both drunk, but quickly realized that this was not the case. Gonzales had a long deep scratch that bled on the side. They were given sedatives before being placed under medical observation during several days. One of the doctors who treated them said in front of them later than he knew that their story was true, because as he returned by car after a night call at the same time he had seen the fight. The representative of the APRO in Caracas indicated that this doctor thereafter went to Washington to discuss the case with the American authorities. Gordon Creighton indicates that the source for this case is the book "The great flying saucer hoax" by Coral Lorenzen. The authors indicate that on the morning of November 28, 1954, two produce workers on their way from Caracas, Venezuela, to Petare, to pick up a load of produce for the next morning's market, and turned into a street. The driver, Gustavo Gonzales, immediately braked his pickup truck because the road was blocked by a metallic-appearing globe-shaped object which hovered about six feet off the road. Two little dwarfish-appearing men carrying rocks and chunks of dirt went back and forth from the side of the road to the object. Gonzales went out of the truck, headed toward the globe, and at this moment one of the creatures headed toward him. Gonzales was unafraid because of his advantage of size and weight, and he intended to capture one of the creatures and take it to the police. 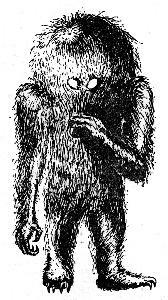 He described the beings as about 3 feet tall, broad-shouldered, with large dark heads with glowing or bright eyes. Gonzales made a dive at one of them and then discovered that it had an extremely hard body covered with stiff, bristly hair, and a prodigious strength, as it struck him with one arm, and knocked him backward about fifteen feet. In the same time, Jose Ponce, watched in fascination and fear from the truck, but when Gonzales was knocked to the ground, he rushed for the police station which was only about a block away. The creature that knocked Gonzales down appeared to leap into the air and came at him with its eyes glowing, and Gonzales pulled a knife used to prone produce. As the being came toward him with its clawed hands extended, Gonzales stabbed it at its shoulder, but was amazed to find that the knife seemed to slide off as though the being was in metal. At this point another of the beings emerged from an opening in the side of the globe and pointed a small tube which beamed a light at Gonzales, who was temporarily blinded. The two beings then entered the UFO; which took off at high speed and was out of sight within a few seconds. Gonzales was terrified and went to the police station, arriving just a few minutes after Ponce. The police officers had thought that Ponce was crazy or drunk when he reported his story, but were not so sure when Gonzales arrived. They were given sedatives and Gonzales was treated for a long, angry red scratch on his side. The author indicates that in the night of November 28, 1954, in the suburbs of Caracas, at about 02:00, Jose Ponce and Gustavo Gonzales were driving into the Primera de Buenavista avenue in their van, a street that was completely deserted in this early hour, when suddenly the two men saw in front of them a luminous sphere of approximately three meters in diameter that hovered at less than two meters above the road. The amazed driver immediately stopped the van. There was a small hairy being with "hands" finished by three long claws standing in front of the sphere. Its head was perfectly round or perhaps under a round helmet, it had no ears, no mouth, no nose, and had two large oval eyes that were oddly glowing. It seemed not to wear any clothing, its slender body being was entirely covered with a dark fur except for the "head." Gonzales then tried to catch it, but the entity, which seemed very light, had a force much more powerful than its small stature let predict. It easily emerged from the catch by Gonzales and pushed back brutally. Depending on the version, it is either Gonzales or the small being which resumed the fight. Gonzales was scratched on several occasions, put out a knife and tried to stab the entity but the blade did not penetrate, slipping on the hairy skin of the "hombrecito" without causing the least wound nor obstructing its brawl. During this time, Jose Ponce who was anxious from what occurred decided to get help at the police station. At the time when he was going to start the van again, he saw two more beings emerging from a patch of ground bordering the road, carrying stones or lumps of earth. They started to run towards the sphere and jumped on board in an easy jump. One of the being reappeared holding a kind of cylindrical tube which it directed towards Gonzales, and an intense ray of light then dazzled and paralyzed him, whereas the entity with which he had fought fled towards the sphere that rose "to disappear in the night." This Venezualan hard rock band devoted two tracks on their 1994 album "Escalofrio" in 1994 to the case. Track 14 is a narrative of the case while 15 is a sung version. It tells that on November 29, 1954, at about 2 o'clock in the morning, Gustavo Gonzales and his assistant Jose Ponce traveled on board of a light truck near Bella Vista street in Petare, going to the pork-butchery Scheper, in search of products that they would sell at the market. They said that the street illuminated itself as if it was midday, they went out of their the vehicle and could see a strange being that approached them, coming from a glowing apparatus that floated a few meters above the ground. After a struggle with the little being, two occupants came in his aid and immediately retired in the flying saucer. The beings were described as little, hairy, with shining eyes, without nose, barefoot, with a very odd suit like a loincloth. The witnesses remained a long time in the Inspectoria General de Transito (General Travel Inspection), where it was checked that they had not been under alcoholic influence. It was noted that they were nervous, and that the one of them who tried to catch the visitor had contusions in the left side. The day after the event, numerous and respectable neighbors of the zone and Caracas in general, testified that they had seen an unidentified flying object in the morning in that area. A mention is made of the newspaper "El Universal" as source. The author indicates that on November 28, 1954, the two farmers Gustavo Gonzalez and Jose Ponce drove a van by night at about 02:00 in the area of Petare in Venezuela. They then noticed a violent light, stopped their vehicle, went out, and distinguished a luminous saucer from which three beings came out, that they described as hairy, of very small size, deprived of noses, barefoot and with very brilliant eyes. "When came out of this kind of trance (Cuando of aquella especie of trance) caused by the light, I held my pocket knife I my hand. I then remembered that, when I hit this strange being with it, the weapon slipped on its body as if I had struck a material more resistant than the blade." The author indicates that the two comrades regained consciousness at the same time without remembering the continuation of the fight, with their bodies covered of scratches and their clothes torn. A lorry driver took them to the first aid station, they were both in a state of extreme nervousness and the left side of Gonzalez carries had traces of contusions. They do not know what happened to them but it is certain that the two men were friends and had no reason to quarrel. The author indicates that the case appeared in the newspaper El Universal, of Caracas, for November 29, 1954. 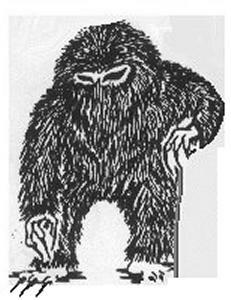 In his books on ET types, the author notes in the category "Hairy Dwarf" that on November 28, 1954 at Caracas, Venezuela, Gustavo Gonzales and Jose Ponce encountered a 1 meter tall "animalian dwarf" that did not wear clothes, was completely covered in stiff bristly hair and had three-clawed hands and feet. Their technology includes a 3 meters wide spherical craft with an opening in the side and a small tube that emits a laser-like light. Three of these individuals were observed carrying rocks or lumps of dirt to their vehicle. Gustavo Gonzales picked up one of the hairy dwarfs and found it to be very lightweight but with a very hard strong body and he was tossed aside by the dwarf. 10 years later [after a 1944 case], on November 29, 1954, a report appeared, registered in the Press Office of the General Command of the Police of Caracas about a street fight between Gustavo Gonzalez, Cuban of 25 years of age, and a "being of another world" in the Bella Vista street in Petare: "I felt in the beginning as if something prevented me to move, but I soon advanced where the weird being was, I grabbed it between my arms and I tried to stop it, but that small hombrecilló [little guy] had much force and managed to undo the arm lock that I had applied to him, despite that I had lifted him; it weighed like 50 kilograms, he was hairy, it did not have a nose, he was barefoot and he wore a suit like some sort of loincloth." The story of Gonzalez is interminable and full of details, but finally the young Cuban and his companion (Jose Ponce) left the aggressive being "who had arms with hands like cutting weapons" unharmed. The author indicates that in Caracas, Venezuela, on November 28, 1954, at 02:00 a.m., Gustavo Gonzales and Jose Ponce were on their way to an all-night market in Petare nearby, and then saw a ten feet diameter luminous sphere descended on to the road ahead and blocking their way. Gonzales was driving and stopped the truck. Both men got out of it to examine the sphere; which was now hovering about six feet above the road. Then then saw a strange hairy ape-like little creature come out of the bushes at the side of the road and approach them. On an impulse, Gonzales grabbed the entity. It weighed only about 35 pounds and its body was extremely hard. It was also immensely strong, as it sent Gonzales flying through the air with one hit. Ponce was looking around frantically and saw two more beings come out of the bushes, and he ran to a nearby police station while the first creature jumped at Gonzales with its sharp claws. Gonzales took a knife out and stabbed the being but the blade did not penetrate its skin. One of the other beings had been collecting rocks from the roadside, and then pointed a small tube at Gonzales and fired a beam of light at him, and Gonzales clutched at his face, temporarily blinded, while the three beings climbed aboard the sphere, which then took off and flew away. After recovering his sight, Gonzales went to the police station and with Ponce, he was questioned by police who assumed that they must be drunk. But they were not sure after Gonzales showed a long deep scratch. "Gustavo Gonzalez, 25 years old, originating from La Havana, Cuba and residing at 72 Bolivia street, Catia, Caracas, with his collaborator Jose Ponce, from Caracas, domiciled in Totumos, moved in a van registered D.F.4-11382, year 1954, towards the factory of marquetry "National Industry of Marquetry, C.A. ", located in the Bella Vista street in Petare, where distributor of products for Open Markets of the Federal Sector and of the State Watchtower are located, where he was victim of a nervous crisis by supporting a fight with an unknown living being which descended to ground from an incandescent apparatus, which according to his version floated within one half-meter of height on the street, preventing the unrestricted passage of the vehicle, which was two meters in diameter and had two widened windows in the sides, of a little less than one half-meter of opening, and a cupola in the higher part; but what is astonishing - as they say - is that this brilliant metallic sphere was floating at one half-meter height without leg, neither supports, neither wheels, nor landing gear of any kind." "The case in question occurred the day of Sunday November 29 of 1954, at two o'clock in the morning in the Bella Vista street, in Petare." The Cuban, in the hours after his encounter with this astonishing character, had to be transferred to the Central Emergency Station from Esquina de Salas, where the medical personnel of duty who took care of him noted simple contusions in the left side of his body. "To the official judge of the part emanating of the Press Office of the General Command of the Police Force, I, Mr Gustavo Gonzalez, declare with the authorities what follows:"
"When I passed by the Bella Vista street, in Petare, driving a van which belongs to me and accompanied by a collaborator, I was surprised and suddenly stopped the vehicle I was driving, when I observed that the street where we were was illuminated as if it were noon in broad daylight." "My collaborator, Jose Ponce, also astonished, opened the door of the van and descended to ground. He came out running while seeing what I saw within seconds later, having been able to observe an unknown living being which approached us. At the beginning I felt as if something prevented me from moving, but then I advanced towards where the unknown being stood, I took it between my arms and tried to stop it, but this small "hombrecillo", as we could qualify it, had much force and succeeded in breaking loose from the catch of arm which was applied to him, although he had been raised from the ground, it weighed something like 50 kilograms and to have tried to carry him towards the van, I fell on the pavement at this reaction, it quickly stopped me." "I tried to chase the hombrecillo and when I looked at him again I observed more surprising things: two more hombrecillos came towards me, of which one of them illuminated me with a lantern, coming apparently in assistance to his companion. This light prevented me from seeing what occurred during a while and little time after while being in my normal state, all had disappeared." "When I left this state of "trance", holding my "Boy Scout" knife in the right hand and realizing that the "hombrecillo" that was to be stopped was approaching me, by instinct, because I held up the weapon which I carried and I struck with my weapon in the shoulder of the unknown being, but my surprise was without ends when the knife slipped on its hard skin, not entering in at all, he appeared to have the skin of a rhino. The weapon skidded on the rough body of the unknown being and slipped as if it had hit a certain very solid material, I could notice that his hands were like four sharpened claws which tried to grab me." "Meanwhile the collaborator Jose Ponce came down by the small door on the right side of the van and moved towards the spherical ball, when, arrived from the right slope of the First Avenue of Bella Vista, a hairy hombrecillo quickly climbed the slope of the hill with joined hands and carrying a ground heap." Hardly had the small being seen Jose Ponce, that with a jump of two meters, he entered though an opening and disappeared in the inside, to show himself again seconds later with another being armed with a long shining tube he held between its hands and pointed at the two men. "My companion Jose Ponce and I", Gonzalez added, "can describe them like this; the one that I grabbed was hairy, did not have a nose, was of small stature, without shoes, with a very strange combination - it resembled a loincloth - its two eyes were shining. Very nimble and strong for his size it made a feline-like jump towards me." "I rather soon felt a vibration, which was felt in the body more rather heard, this paralyzed Gonzalez and Ponce, and they saw the brilliant sphere rise in silence from the ground while flying vertically until it changed to a spot to disappear without leaving any trace." José Ponce came running and arrived at the Inspection of the Transport of Petare located in the same street where the strange event was recorded. A few minutes afterwards, arrived at this same official office, Gustavo Gonzalez, after having taken a little water and to have recovered his energy, told the story of what had occurred to the treasurers of guard Manuel Moreno and E. Dominguez, who claim that both men entered there at 02:30 of the morning with this story but that they were not drunk, nor mentally alienated; their speech was correct and their narration, although astonishing, was full with details which appeared real by the luxury of data that they indicated. After mid-day, the official civil servant Major Jesus Antonio Yanes, expressed that what had happened at Gonzalez and Ponce, was something extremely unusual, which thereafter caused a strong pain in the left side with Gonzalez who was taken along to a Center of Assistance for medical care, at three o'clock in the afternoon, where they took a radiography to check for break of ribs by measuring the muscular distances in this side of the body, and his strong nervousness. All those who at this time there were in the I.G.T. [Inspection of Transport], surveyed Ponce and Gonzalez, surprised. Somebody said "they had a vision following drinking [alcohol] and they showed not to have drunk by having their breath checked, then it was checked with the pork-butchery "Industria Nacional de Embutidos C.A." aka "Scheper" where they sought products to sell on the Open Market, where its director Antonio Cherchi said "I state that I have seen these men and to have dealt with Gonzalez and Ponce and I declare that they were serious people and workers which arrived every day both on schedule at dawn to seek their products," that he never had a complaint nor anything abnormal at the latter; which is why he thinks that if they saw or had contacts with something which disturbed them, he affirms that "if they say that they saw something, I believe them..."
In addition, our journalists obtained to learn that Ponce and Gonzalez were actually not under alcoholic influence when the event took place, because they were checked out, they would have been informed by the Transport Authorities and, when Gonzalez was transferred to the Emergency Station, it was shown moreover that he was rather nervous and its left side showed light contusions. Other people testified that they saw or heard something, in Bella Vista street, among others, Miss Maria Antonieta Avellaneda who said to have been woken up between one and two o'clock in the morning, around the indicated hour of the event and that she managed to perceive "something like a detonation... and a whistling sound" but she did not pay great attention to it as she was preparing a remedy for a sick child of the house where she lives. In the same manner, Mr. Concepcion Garrachan, who lives in Petare, indicated that hours before the event occurred, he had seen "... a strange luminous apparatus which did not make any noise and which other people with him had seen and commented on the strangeness of this event... ", flying over the south of Petare, and in the paddle, at two o'clock, he then heard a detonation in Bella Vista street which was heard from other areas of the Valley of Caracas. Mr. Manual Maria Soria, who lives in Sugar Avenue, N.31, at only three halls from the location indicated by witnesses of the landing, had said that he went to his house around 02:30 a.m., (the hour indicated by Gustavo Gonzalez for the encounter) in his hired car, when he suddenly observed that a powerful light illuminated the vehicle, forcing him to stop temporarily. Immediately, he heard something like a whistling sound, precise and tormented. He started the car at full speed and went home, where he told his mother Mrs Juanita Soria what had happened. This lady answered him that she had heard "something", but she believed that "it was one of these planes acquired by the government that do many moves." Another witness of reference was Dr. Julio Garces, laboratory assistant of the Hospital Pérez de Leon, in Petare, who stated that little after two in the morning on Sunday, when he passed in his car by the neighborhoods of Bella Vista street, he heard like a cry of terror, uttered "by a frightened voice...", he stopped to see what was going on and did not see anything but heard shouting while not knowing from where it came. Moreover, Mrs. Elsa Duderstad, from 9 Los Palos Grande street where she lives, declared that she was in the garden of her house when she saw towards Petare a very intense light in the shape of a disc which went up on Petare, which changed color and was in sight during several minutes. Her son Rodolfo Duderstadt reiterates categorically what is reported by his mother and indicates that "... the sighting that we had made us think a lot, since it occurred at the same hour as in Petare, whereas we knew nothing of the details of the case before we read the story in the newspapers..." Miss Ursula Wiede, a relative (niece) of Mrs Elsa Duderstad, also had the opportunity to witness the strange phenomenon. The story finishes by referring to neighbors of the city. The Caobos, who reside along the old railway that leads to the populated part of Petare, stress that at dawn and at the indicated hour, they observed, while it passed above their houses, a very brilliant light which illuminated their rooms while arriving like a very intense star, many refrained from making statements to the press, to avoid being called crazy or to be quoted by the National Safety that carried out an investigation on this matter. Mrs. Avelina del Paso, inhabitant of Andres Bello street, indicated that several radio patrols of the Police Force and National Safety were present in the area, imposing order, and making a search in the streets and the houses to find the origin of the explosion which was perceived at the passing of the shining light. Francisco Leal, who lives at N.7 of the street, felt the explosion like all the neighbors of the area, several entire families being alarmed were in the neighborhoods of their residence, all commented on the event between them had been at the "Weapons" and "Escobar", they indicated, according to statements given to the police force that it was a bluish and intense light, this light being directed upside, and all the inhabitants heard the strange noise. Albert Rosales indicates that in Petare, Venezuela, on November 28, 1954 at 02:00 a.m., Gustavo Gonzalez and his helper Jose Ponce were driving a truck when they found the street blocked by a luminous sphere of 8 to 10 feet in diameter, hovering 6 feet above the ground. They got out to investigate, and saw a dwarfish being, 3 feet tall, with claws and glowing eyes, coming toward them. Gonzalez grabbed the being, who wore only a loincloth, and lifted him up, finding him surprisingly light, hard, and hairy. The being gave him a push than knocked him 15 feet away. Gonzalez then tried to stab him, but the knife glanced off. Ponce saw two others beings emerging from the bushes with soil in their hands. They jumped up into the sphere, and shone a blinding light at Gonzalez, whose antagonist also jumped in, and the craft flew away. Gonzalez was left with a deep scratch in his side. Rosales indicates that his source is the APRO Bulletin, 11/54. The author indicates that on November 28, 1954 at two o'clock in the morning, two young people traveling on board a van close to Caracas in Venezuela stumbled on a luminous sphere of almost 3 meters in diameter in hovering at 2 meters above the road. One of them, Gustavo Gonzalez, came out to see more closely, and whereas he approached, a small creature resembling a dwarf and covered of stiff hair sent him to roll with a single slap, then jumped at him, with red bloodshot eyes. Gonzalez put out a knife to strike it but the blade slipped on the hairy body. Another creature suddenly emerged and blinded Gonzalez with a very powerful light. The other man, José Ponce, jumped of the van to come in help of his friend and saw two other creatures emerging from the bushes bordering the road while carrying stones. The beings jumped in their hovering vehicle and disappeared. The two men reported the incident to the police force and the doctor who examined them was precisely on the way for an emergency and had been a witness of the scene. The two men were very frightened and Gonzalez had a serious scratch on the side. The Spanish ufologist notes in a catalogue that in Petaré, Venezuela, on November 28, 1954 at 02:00, G. Gonzalez and Jose Ponce, truck drivers, found their road blocked by a luminous sphere over 3 meters in diameter and hovering 2 meters above the ground. A small creature with claws and glowing yellow eyes came toward them. Gonzales grabbed it and found it strangely light, less than 20 kilograms, and observed that its body was very hard and covered with fur and a strange suit. The creature pushed him back, while two other creatures came out from the bushes and leaped into the sphere, carrying stones and other samples. A light from the craft blinded Gonzales and the strange beings flew away. The witnesses immediately went to a nearby police station. On the following days, there was a wave of similar cases around Venezuela. The author indicates as sources Horacio Gonzalez Ganteaume, "Platillos voladores sobre Venezuela" 1961, pp. 174-181, the newspaper El Universal, of Caracas, for November 29 1954, and the Magonia Catalogue # 344. A certain number of sketches of the creatures in this case circulated in the ufology literature and on the Internet, generally without information as to the craftsman and the source. While looking at the four-five lines of summary offered in several UFO books decades later, I was thinking that this case is merely a blurry tale of some unfathomable encounter claim originating from a country where people and newspapermen would routinely invent such short fables. It appears that the story is much richer than that and although fragmentary, reveals as a close encounter of the third kind in a populated area, recorded by the police authorities, with a number of mildly corroborating claims in the entire area by names witnessed, and no sign of the typically silly tall-tales that should be expected if all this had been invented. This makes it a rather interesting case that should not have been reduced over the years into the confused and sometimes contradictory summaries and made-out sketches that survived in the international ufological literature. 1 Data Severe November 4, 2006 Patrick Gross Patrick Gross Missing the likely existing police records on the statements of the witnesses. Help needed. Opened. 2 Data Medium November 4, 2006 Patrick Gross Patrick Gross Missing the November 29, 1954, newspaper article in the Caracas newspaper El Universal. Help needed. Opened. 3 Data Medium November 4, 2006 Patrick Gross Patrick Gross Missing the article in the APRO Bulletin for November 1954. Help needed. Opened. 4 Data Medium November 4, 2006 Patrick Gross Patrick Gross Missing the report in the book by Horacio Gonzalez Ganteaume "Platillos voladores sobre Venezuela". Help needed. Opened. [---] ? Article in the national newspaper El Universal, Caracas, Venezuela, November 29, 1954. [---] ? Article in the ufology bulletin APRO Bulletin, APRO, November 1954. [ht1] ? Article in the newspaper Waco Herald-Tribune, of Waco, Texas, USA, on February 13, 1955. [---] ? "The Flying Saucer Conspiracy", book by Donald Keyhoe, Henry Holt editor, 1955. [---] ? "Platillos Voladores Sobre Venezuela", book by Horacio Gonzalez Ganteaume, pp 174-181, 1961. [---] ? "The Great Flying Saucer Hoax, book by Coral Lorenzen, William Frederick Press/APRO, 1962. [---] ? "Flying Saucers: The Startling Evidence of the Invasion from Outer Space", book by Coral Lorenzen, Signet Books, 1966. [fe1] * "Flying Saucers, Serious Business", book by Frank Edwards, Bantam Books, 1966. [lo1] * "Flying Saucer Occupants", book by Coral and Jim Lorenzen, Signet Books, pp 103-104, 1967. [fe1] * "Les Soucoupes Volantes, Affaire Sérieuse", book by Frank Edwards, Rovert Laffont éditeur, France, pp 157-159, 1967. [lo2] * "UFO The Whole Story", book by Coral and Jim Lorenzen, Signet Books, page 63, 1969. [gc1] * "Humanoids in South America", chapter by Gordon Creighton, in "The Humanoids", book by Charles Bowen, Neville Spearman publisher, 1967. [gc1] * "Les Humanoïdes en Amérique Latine", chapter by Gordon Creighton, in "En Quête des Humanoïdes", book by Charles Bowen, French translation of "The Humanoids", J'ai Lu publisher, pp 112-113, 1974. [lo3] * "UFO - The Whole Story", book by Coral and Jim Lorenzen, The New American Library publishers, Signet Books, USA, pp 168-169, 1969. [---] ? "Ceux Venus d'Ailleurs", comic book by Jacques Lob and Robert Gigi, Dargaud publisher, France, 1973. [---] ? "Les Apparitions OVNI", comic book by Jacques Lob and Robert Gigi, Dargaud publisher, Paris, 1979. [---] ? "Atlas des Cas Inexpliqués", in the popular science magazine Science et Vie, special issue "50 ans d'OVNI" (50 years of UFOs), France, 1997. [gi1] * Lyrics on the hard rock album "Escolafrio" by the heavy metal band Gillman, Venezuela, 1994. [mb1] * "Enquête sur les Enlèvements Extraterrestres", book by Marie-Thérèse de Brosses, l'Aventure Secrète, Plon, J’ai Lu, France, pp 43-44, 1995. [ph1] * "The Field Guide to Extraterrestrials", book by Patrick Huyghe, Avon Books, USA, 1996. [---] ? "Faces of the Visitors", book by Kevin Randle and Russ Estes, Simon and Schuster, 1998. [en1] * "En Los Cielos, Como Carros de Fuego", article in the newspaper El Nacional, Caracas, Venezuela, August 3, 2000. [ab1] * "The Encyclopedia of Alien Encounters", book by Alan Baker, Virgin Books publisher, U-K., pp 50-51, 2000. [jr1] * "B.A. BA des Extraterrestres - Volume 1", book by Jean-Paul Ronecker, Pardes publisher, France, pp 95-96, 2001. [gg1] * "Los Cuentos de Aqui, Alla y del Mas Alla", virtual book by Gabriel Gutiérrez, Venezuela, circa 2002. 0.1 Patrick Gross November 4, 2006 Creation, [ht1], [fe1], [lo1], [lo2], [gc1], [gi1], [ph1], [en1], [jr1], [gg1], [jb1], [lg1]. 0.2 Patrick Gross November 4, 2006 First published. 0.2b Patrick Gross November 9, 2006 Addition, [mb1]. 0.2c Patrick Gross December 19, 2006 Addition, [ab1]. 0.2d Patrick Gross December 20, 2006 Addition, [lo3]. 2.0 Patrick Gross October 17, 2011 Conversion from HTML4 to XHTML Strict.